I have always loved giraffes. Every time I’ve been to the zoo, they have amazed me with their gentle demeanor and, of course, their long necks. 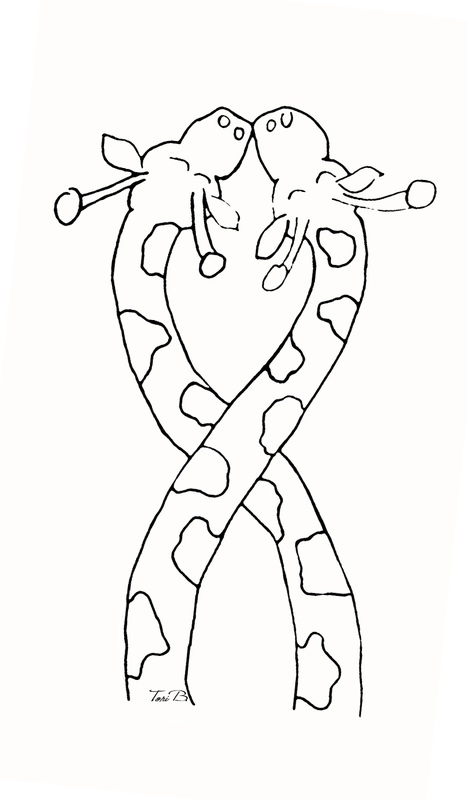 This week’s free Crudoodle digital Stamp is Giraffes in Love. 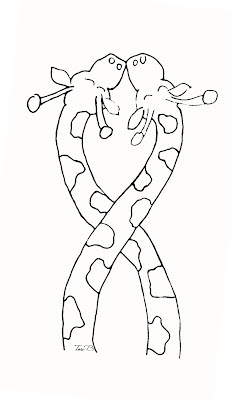 To save Giraffes In Love to your computer, click on the preview above to open the full size image. Right click on the picture, and save to your computer. 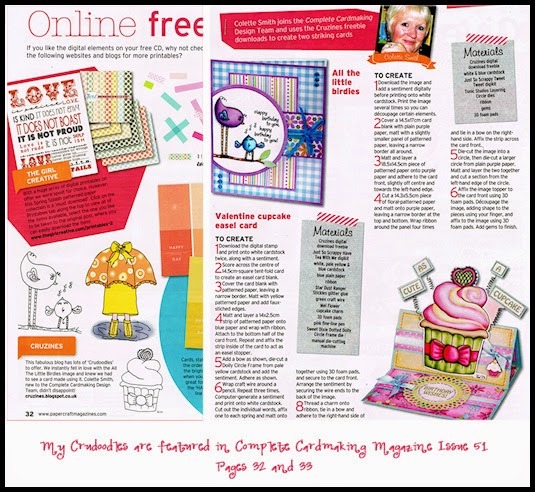 Posted in Tori Beveridge and tagged card making, coloring page, Crudoodle, Crudoodles, digi stamp, digital stamps, doodle, paper crafts, Tori B. These are so sweet! Thanks so much for sharing them! Thank you! I love giraffes! Aww, this is so sweet, thank you. Love the heart shape that you have created between the necks. Lovely image, thanks. 🙂 You're so very welcome. Great job on all the cute Images! I have not visited in a while and need to go catch up on some of these great files. I picked up a bunch of your freebies today.Greatly appreciate all the wonderful digis you offer. This is very cute. Thank you for sharing! Thank you so much! They are so cute! Thanks for these sweet images! this is a fantastic image! thanks for sharing it. I can't wait to make a card for my newly married niece,who like you, loves giraffes!